Let me guess. You have already planned an email campaign and ready to start but found out that you don’t have a cool frame for your electronic mails? You are on the right track! The visual part of any marketing campaign plays one of the main parts in the overall success of a marketing strategy the company has chosen. Why? Just imagine you are planning a vacation and get emails from two different travel agencies. While the first email is just a set of simple text with some pics embedded, the second one looks like an infographic with call-to-action buttons and travel proposals put in a beautiful frame. Which one would you most likely start reading? The answer is obvious. And you are not unique in your choice, since 90% of information transmitted to the brain is visual and most people succeed in learning with visual aides. That’s the reason we’ve decided to recommend some newsletter templates which could be useful for your marketing campaigns. One of the most multi-purpose Newsletter Templates that can be a perfect fit almost to any business project. You can place your logo in the heading and then go on posting the content you want your customers to read. The template is designed in such a way that white blocks are followed by blocks in brighter colors to keep your readers’ attention. 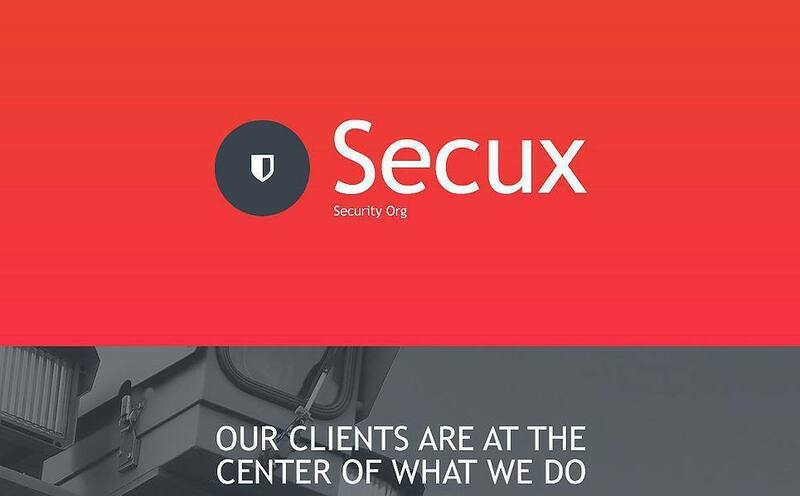 If your company is connected with security issues, then this newsletter template is what you need. Everything starting with elegant typography and ending with a color scheme supports the idea of reliability and safety. The fully responsive layout will make your email look great on any modern device of choice, no matter if it is a tablet or a desktop. 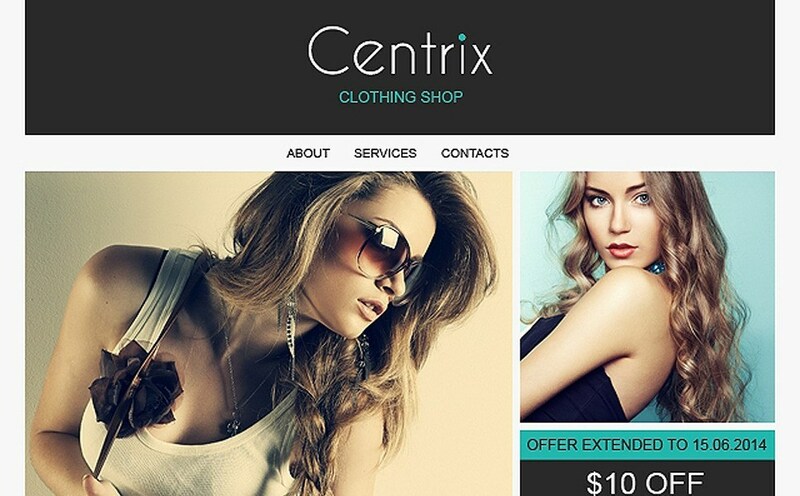 Need a fashionable look for bulk emails to promote your clothing shop? Take this stylish newsletter template and start your campaign right away. It lets you add the best products pics and place your beneficial offers in the most noticeable manner. 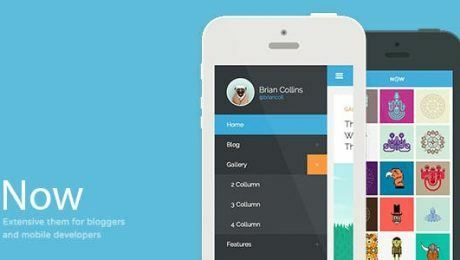 The whole layout looks engaging and up-to-date to make your emails more clickable. Want to represent your web design company in the best way and search for an official but still inspiring template for your newsletters? Check out this advanced template that has a few interesting options to draw more customers to your business. The heading is featured by social media integration buttons and a grid structure is arranged to present your offers more efficiently. This email template was designed taking into consideration the latest web design trends to improve the online identity of your IT company. It allows personalizing your newsletter in a few clicks and continue maintaining close relations with your customers and partners. The overall design is simple but remains attractive thanks to the bright colors and trendy fonts. 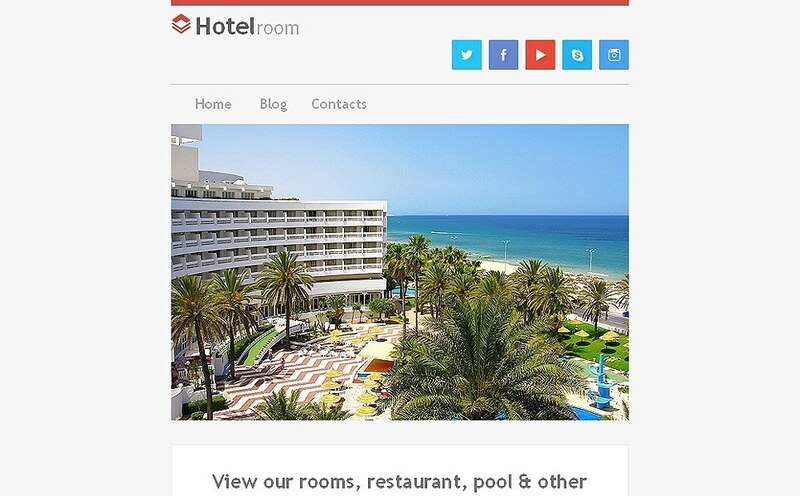 Take a look at this newsletter theme especially customized for hotels and traveling services. It is structured into info blocks for better presentation and categorization of your ads and proposals. Also, this email template goes with the video option to make your newsletter more informative and entertaining. 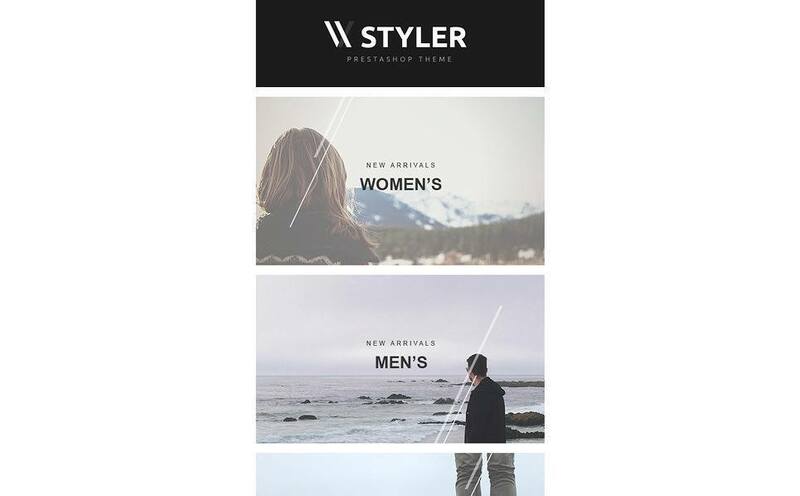 Discover this stylish newsletter template for apparel stores. Together with this professional theme and its well-structured design your email campaign will go smoother and you will get better feedback. The main body consists of blocks of processed images with cool design effects to inspire your readers to visit your eshop. In case your beauty industry related company still sends simple textual emails to its customers, it is high time to prettify your marketing campaign. 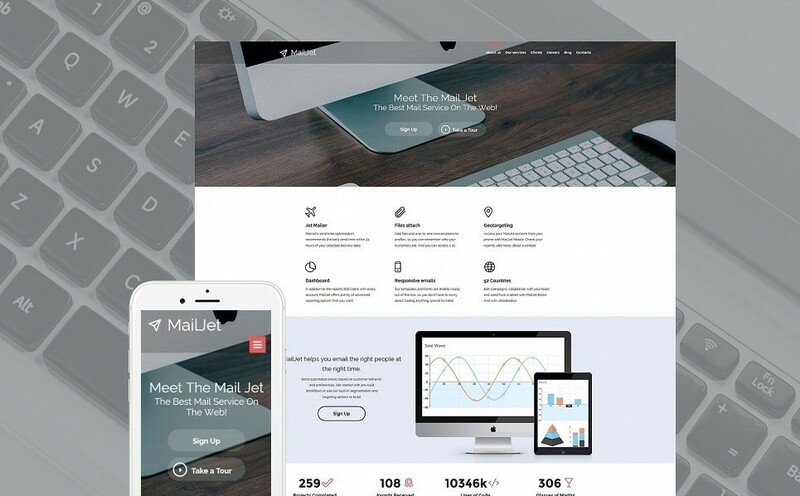 This trendy newsletter template enables you to feature your email not only with routine adds but with a photo gallery, testimonials, and benefits of your company. Want to make your promotion campaign more efficient? 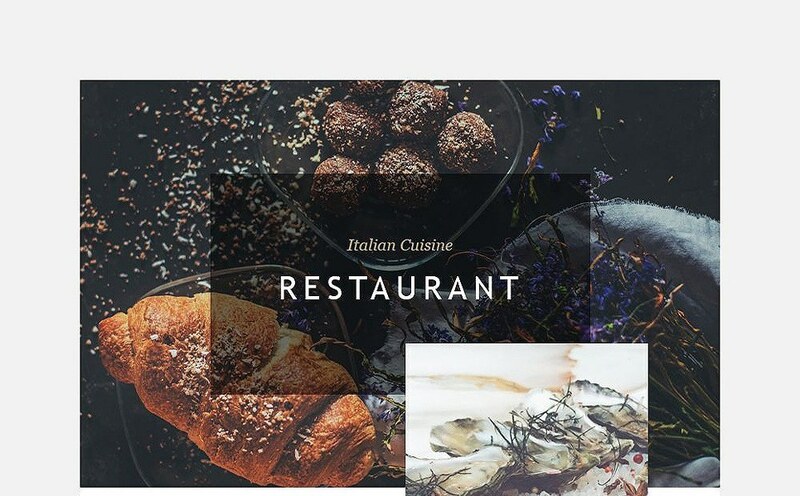 Try this sophisticated newsletter template for restaraunts, cafes or bars. It can be integrated with such platforms like MailChimp and Campaign Monitor to keep your email marketing tracked, fast and easy. 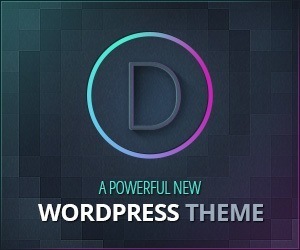 The design of this theme will definitely make your potential clients click your links and use your services. It is only a small part of email templates you can find on the web while searching for the most suitable one. If you haven’t still found a theme fitting all your business requirements, then you can look throught a wider collection of newsletter templates. 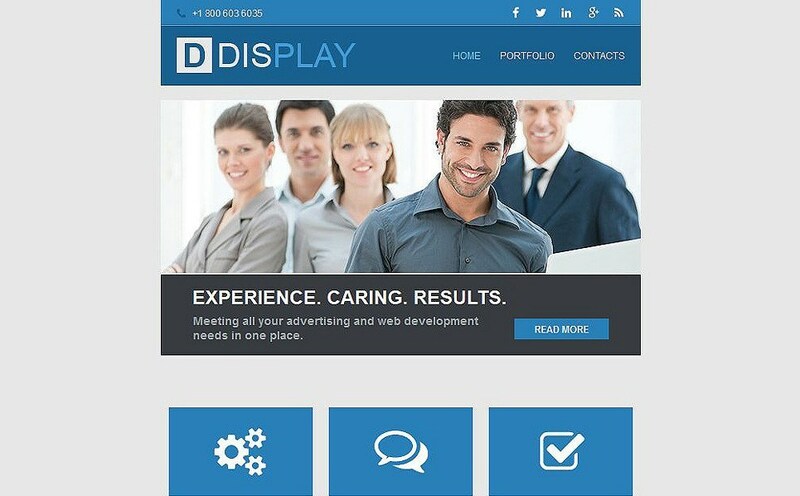 In an effort to make this post more informative and useful not only for those who want to promote their products and services, but also for companies specializied in email marketing, we would like to showcase some website templates customized for such services. 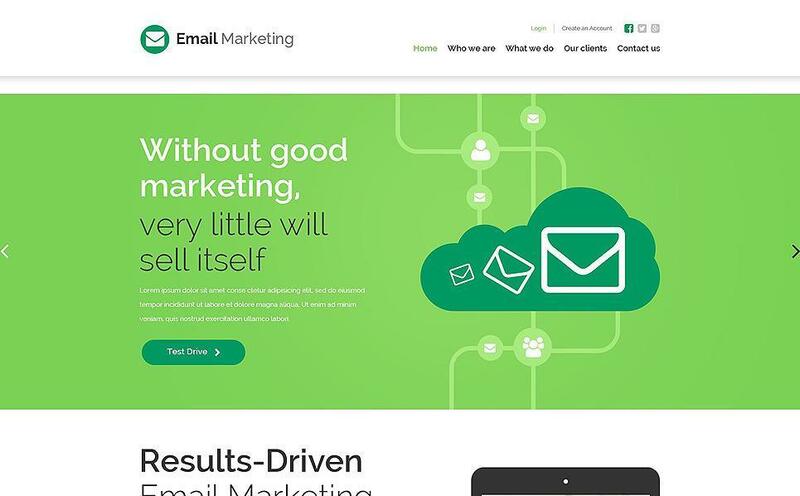 The clean design in white-and-green colors of this Email Marketing Website Template will make your company look fresh and up-to-date. 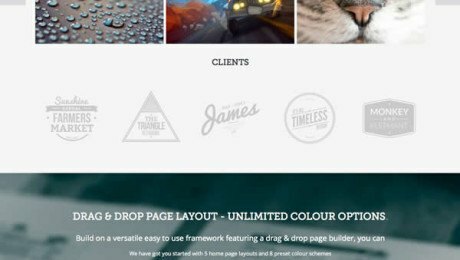 100% responsive design + Parallax scrolling effect is a great combination for any modern website to draw the attention of more potential clients and make their browsing smooth and pleasant. Pay attention to another professional website template for marketing companies. 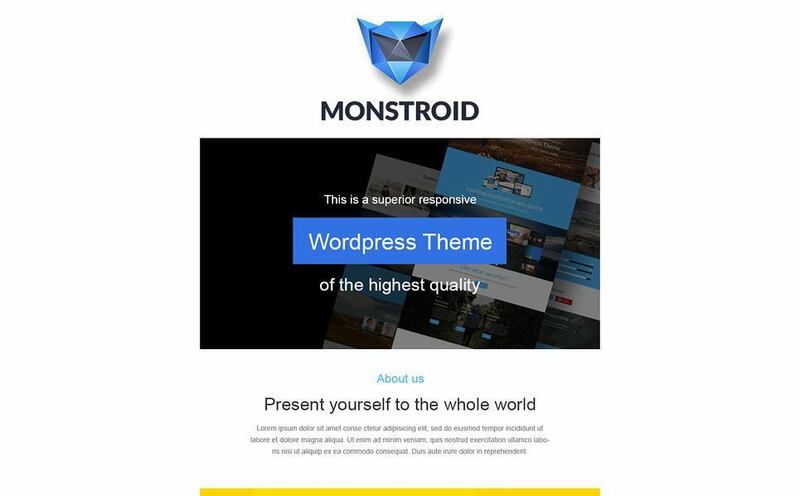 This theme is extremely easy-to-customize due to Moto CMS 3.0 it is powered with. 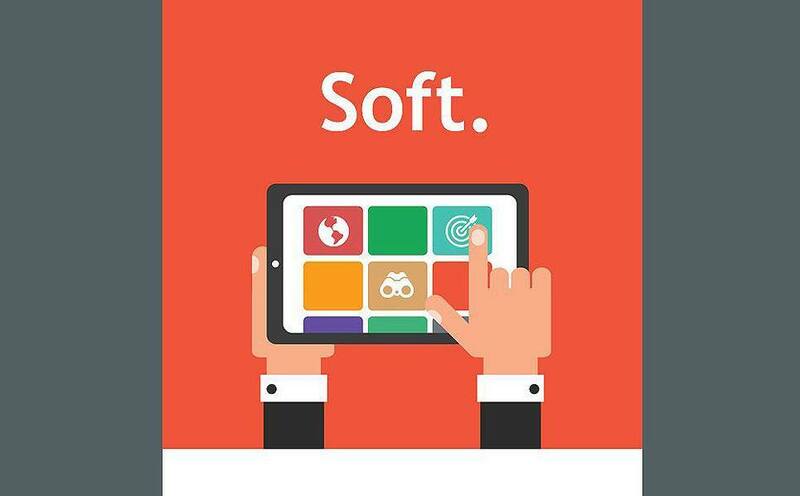 The drag-and-drop admin panel is created to make your relations with website development as easy as a pie. A few minutes and several clicks and you are ready to launch your project online. 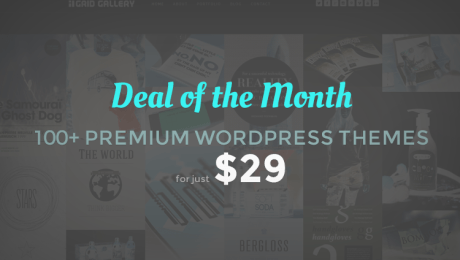 100 Themes for $29 with Greedeals!